Chicagoans will talk about the perfect hot dog. New Yorkers will go on about nobody knowing how to do bagels right except them. And every state in the South has borderline-religious ideas on what constitutes barbeque. But New Mexicans share a food passion that is really more about love than bravado, although my swagger is going to be shameless for this post. No matter what our political affiliations, religious views, or favorite sports teams, New Mexicans almost universally agree on the most important food group. 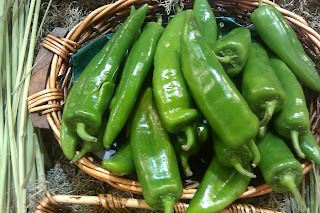 The New Mexico chile (a.k.a. Anaheim chile) is New Mexico's largest agricultural crop and it's chief positive contribution to worldwide quality of life. It is proof that God exists, and that He has discriminating taste buds. 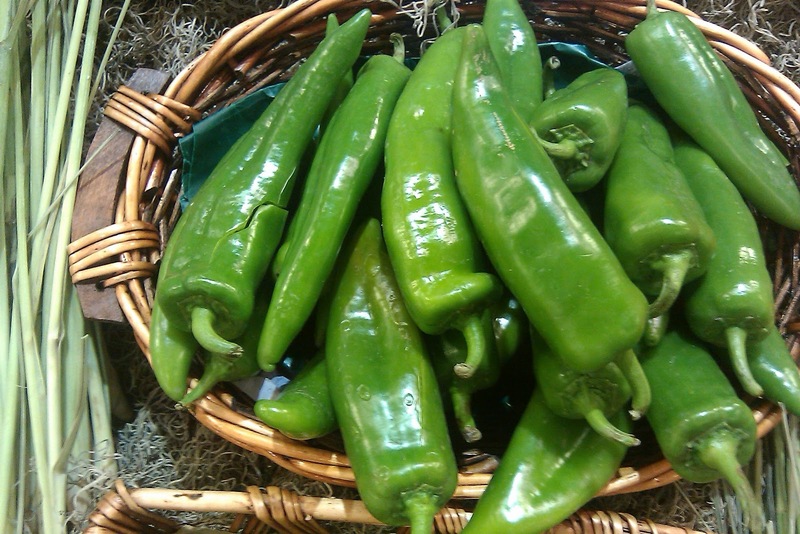 New Mexico chiles can be hot, but heat is not their defining characteristic. That would be flavor. When roasted over an open flame, that flavor is liberated like a white-winged dove gracefully floating to the heavens through a shaft of falling light radiating though the dilapidated roof of an abandoned Spanish mission, with a choir of angels harmonizing in the background. Almost any food you can think of can be improved with the thoughtful addition of chiles, including white-winged dove and angel. So, this weekend I enhanced the value of my freezer portfolio by buying a bushel of fresh roasted green chiles from the local grocery store. Eighteen ziplocs of glory and largesse. I am fulfilled. Eat it, New York.